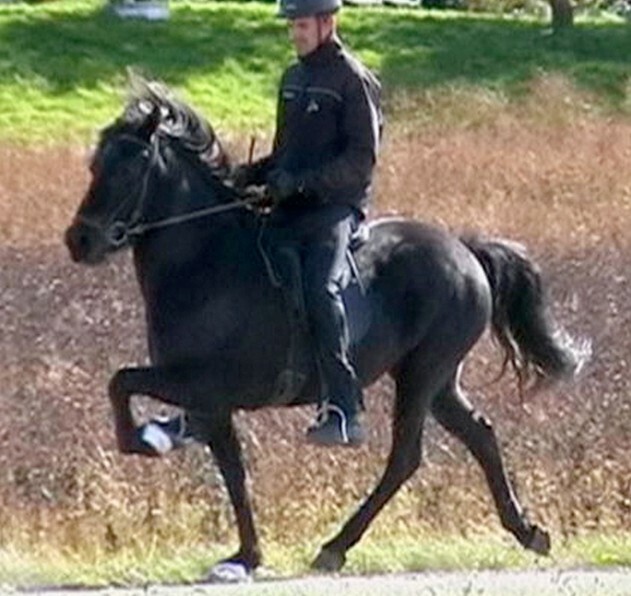 Five gaited mare with a lot of character with her long mane and ice blue eye. 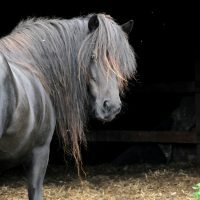 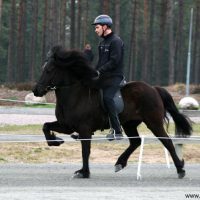 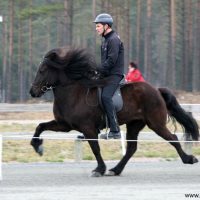 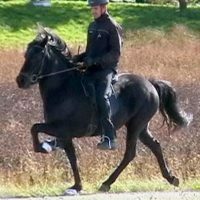 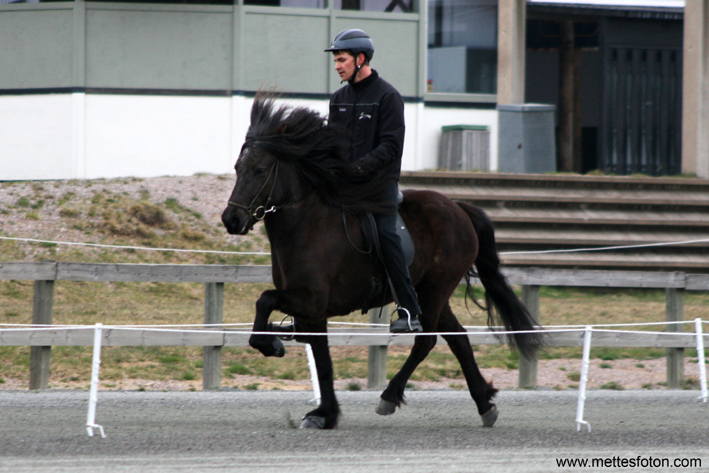 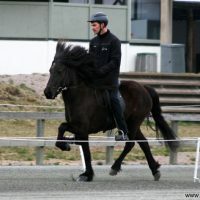 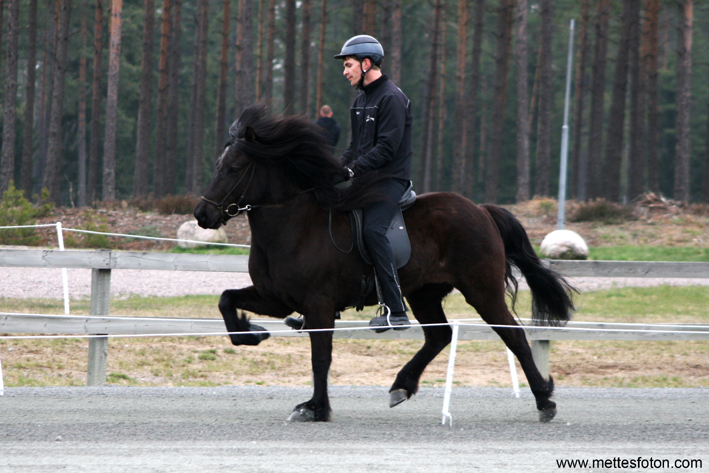 Minning is line bred on the honour prize awarded stallion Kolfinnur frá Kjarnholtum and was shown at a breeding show already as a four year old. 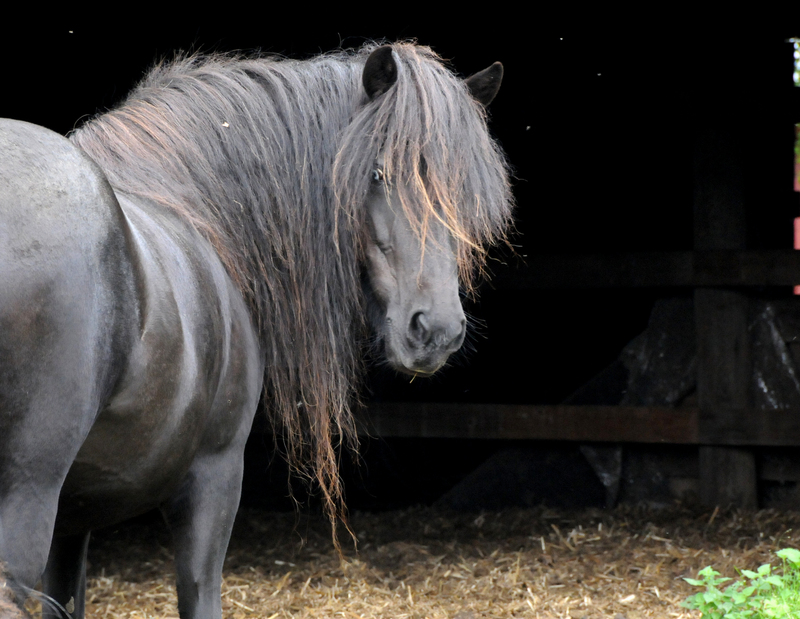 Her offspring’s have high and well-set necks and are curious and alert. 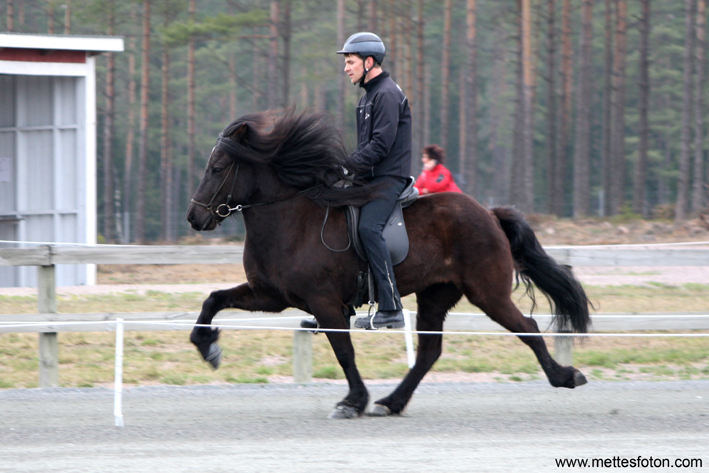 Minning also has inherited high leg action and a lot of character to her offspring’s.